The forest will soon host a big party. 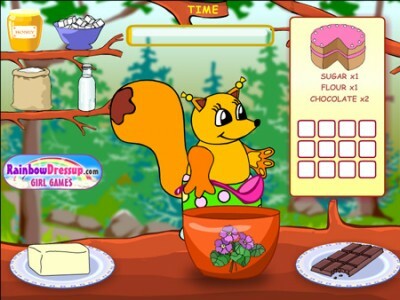 The squirrel is the chef. It has to prepare the cakes and cookies. Help the squirrel choose the right ingredients and mix them in the right order.